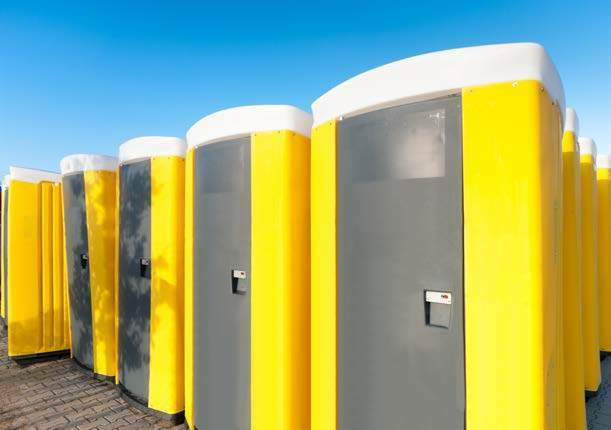 Bionetix International’s Porta-Treat P Plus is a safe, environmentally friendly solution for cleaning and deodorizing portable restroom holding tanks. The water-soluble pouches are easy to store and can be tossed into portable restroom tanks after routine cleaning without special measuring required. The nonformaldehyde, nonbronopol formula has no adverse effects on sewage treatment plants. Bacteria inside Porta-Treat Plus transforms waste into a liquefied substance that is easier to pump, extending pump life and reducing odor. Bacteria count is 1 billion CFUs per gram. 514-457-2914; www.bionetix-international.com. 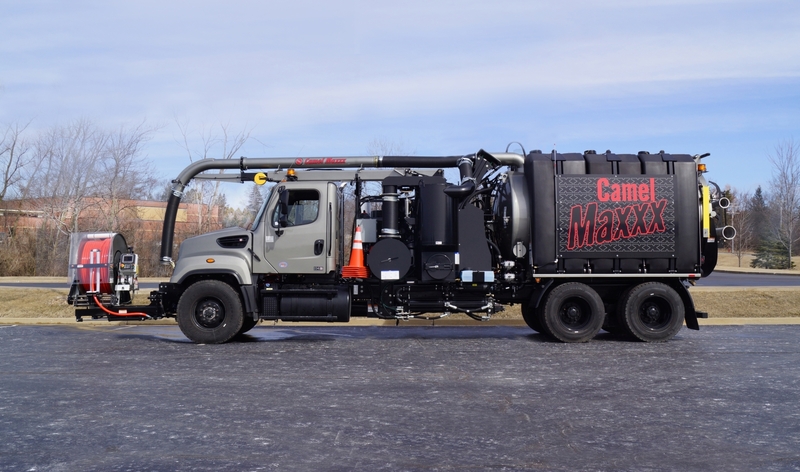 The Super Products Camel Maxxx 1200 sewer cleaner offers 1,500-gallon water and 12-yard debris capacity and a 7-inch display at the front control panel. It utilizes a heavy-duty transfer case with a hot shift blower control at the front operator’s station, eliminating trips back inside the cab to turn the vacuum pump on and off. An extreme transfer case and hydraulic cooling system allow for continuous work without overheating. The front-mounted hose reel extends 18 inches and is capable of 270-degree rotation, including when fully retracted, and is lockable in any position. 800-837-9711; www.superproductsllc.com. 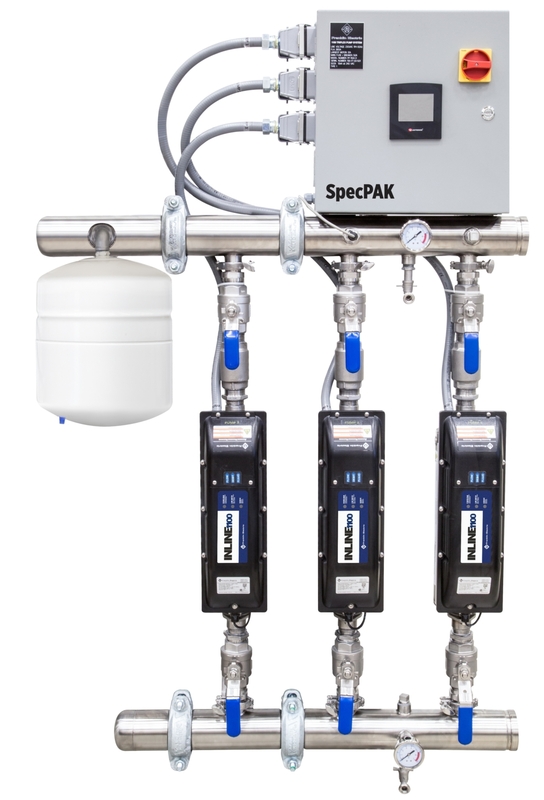 Franklin Electric’s Inline 1100 SpecPAK pressure-boosting system provides a simplified way to select a packaged system for boosting water pressure in applications requiring more than one pump. It connects easily to nearly any commercial, industrial, or large residential plumbing configuration, and is sized to fit in a small utility closet. The unit is a quiet, all-in-one constant water pressure system that contains the pump, motor and drive. As water volume needs increase, the pump instantly accelerates to the proper speed to ensure water pressure stays constant. Each unit provides up to 60 pounds of additional pressure, ensuring the pressure doesn’t vary more than 1 to 2 psi. 260-824-2900; www.franklinwater.com. 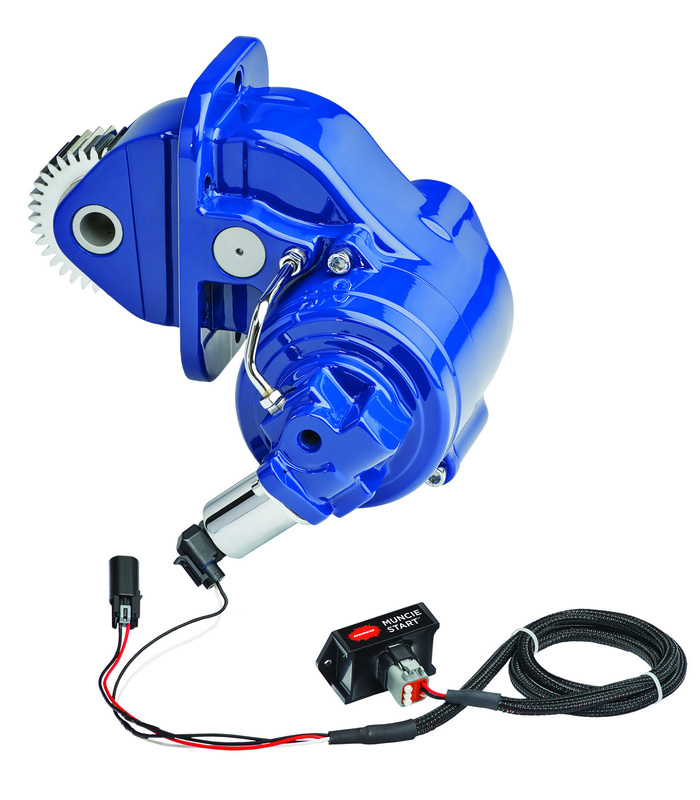 Muncie Start from Muncie Power Products is a new power takeoff option that reduces startup torque for high-inertia loads, allowing for a smooth PTO engagement. The Muncie Start operates via modulation of the clutch, easing loads into engagement. It eliminates torque spikes through the PTO, truck drivetrain and mounted auxiliary equipment upon startup for increased life of the PTO and driven mechanical components. The PTO option also prevents engine stalls at low-engagement revolutions per minute. Muncie Start is suitable for applications such as blowers, vacuum pumps, water pumps, compressors and generators. 800-367-7867; www.munciepower.com.